Allow me to explain how important the Civic is for Honda. Since it was launched back in 1973, nearly 35 million Civics have been sold worldwide. 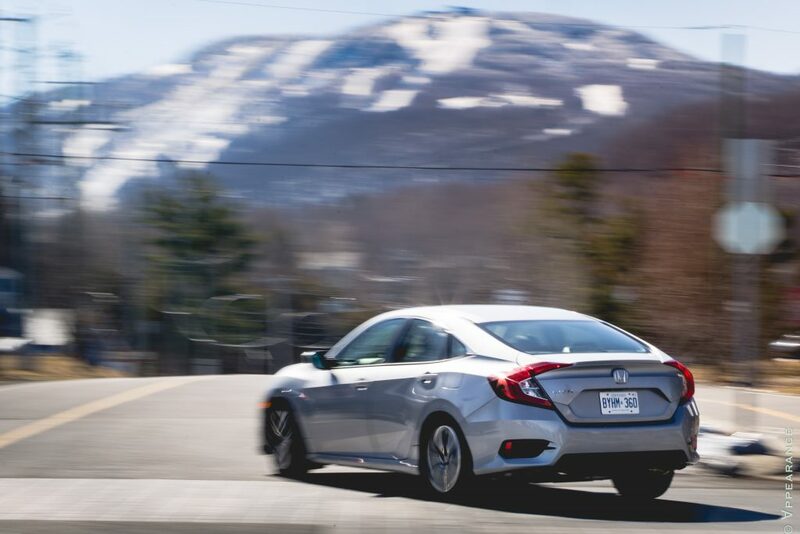 Here in Canada, the Civic has been the best-selling car for the past 18 years, and for the longest time, it was the class leader in the compact car segment; the benchmark for what a small car should be. The Civic also grew up with an entire generation of kids who not only learned how to drive in one, but moved on to owning and tuning their own Civics in every freakin way possible. I happen to be one of those kids, owning a total of 4 Honda Civics in my lifetime. But lately, even I, a Honda fanboy, had been looking away from what the Civic had become. Let’s face it, the last generation model, albeit still a good car, was an uninspiring and underengineered people mover whose driving dynamics, styling, and value were easily eclipsed by a Kia. So, after driving this new and vastly improved 10th generation Civic EX-T sedan, I can safely say that not only has Honda regained its mojo, it’s one of the best cars I’ve driven this year. 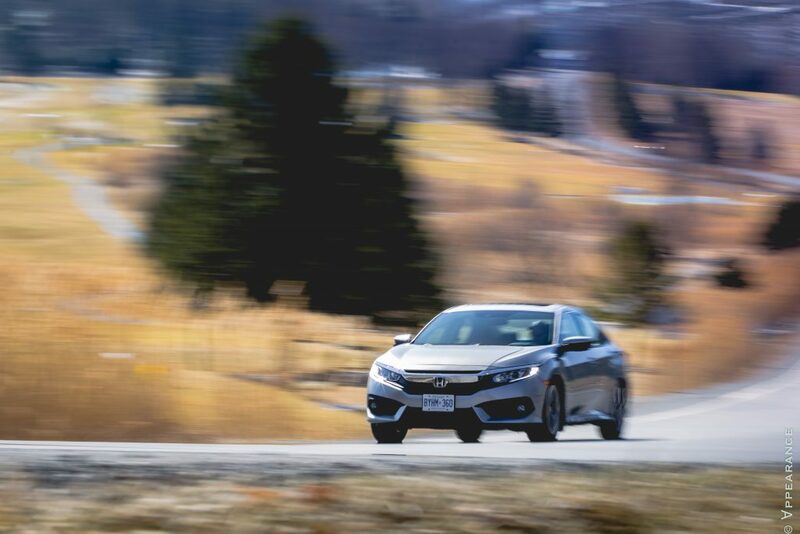 The first thing you notice when setting your eyes on the new Civic sedan is how much it has grown. Unless you park them next to each other, you could easily mistake this Civic for an Accord. In fact, Honda says this new platform will underpin the next generation of Accords. Although I appreciate the extra rear legroom and cargo space this extra stretch has given the Civic, I don’t think it’s helpful for the sake of the nameplate. I mean, how is this a compact car? 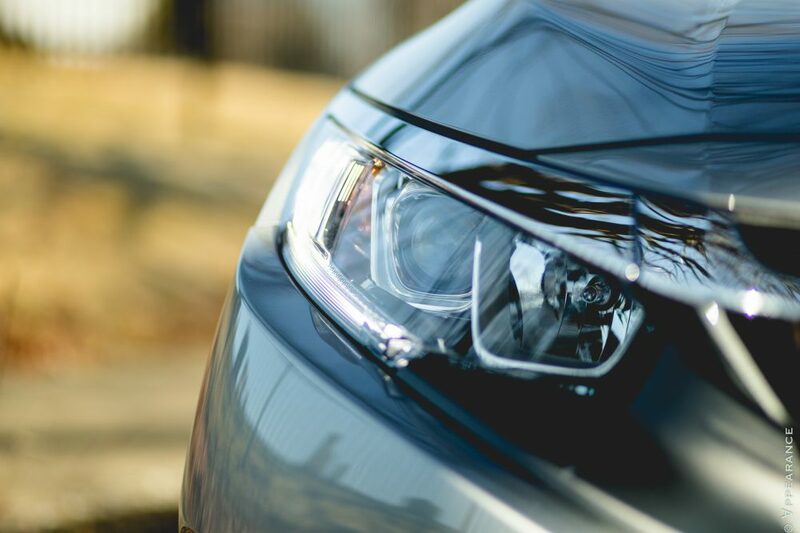 The Civic’s enlarged exterior proportions also have an effect on parking manoeuvres and urban driving. 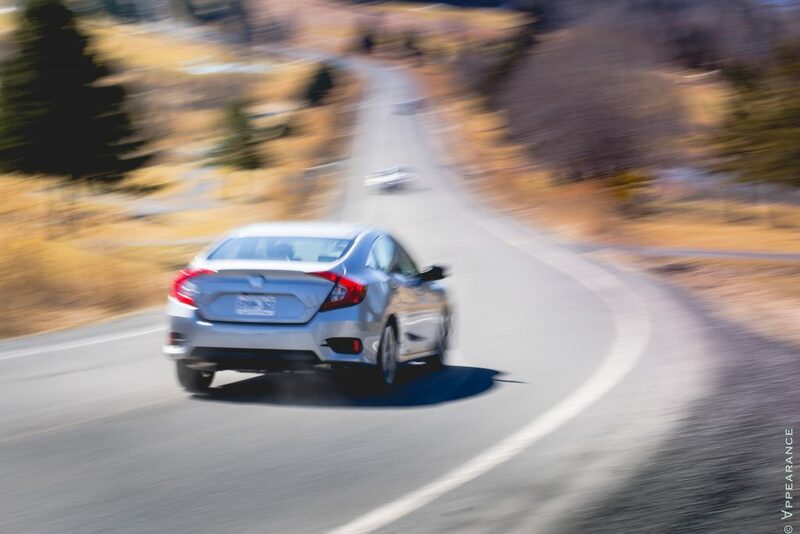 While Civics of yore were loved for their nimbleness and ability to easily zip around traffic, driving the 2016 Civic in cramped areas requires a tad more attention. Luckily though, the new Civic’s exterior design is miles ahead of its predecessor. This is an unquestionably highly styled automobile, one which takes traits from cars in a much pricier segment. Honda walked away from the classic 3-box sedan configuration and instead opted for a sleek, fastback-like profile while still retaining the trunk of a traditional sedan. There are bulging front fenders, a bold taillight treatment, a wider stance, an aggressive new face, and wheels pushed out to the extremities of the car. It is without a doubt a very striking and bold design, one that quickly grows on you as an elegant and modern sculpture. I do, however, wish the wheels were a bit more attractive, and found myself wondering: what’s up with Honda and their wheel designs lately? The biggest news for the new Civic lineup is the arrival of two completely new powertrains. 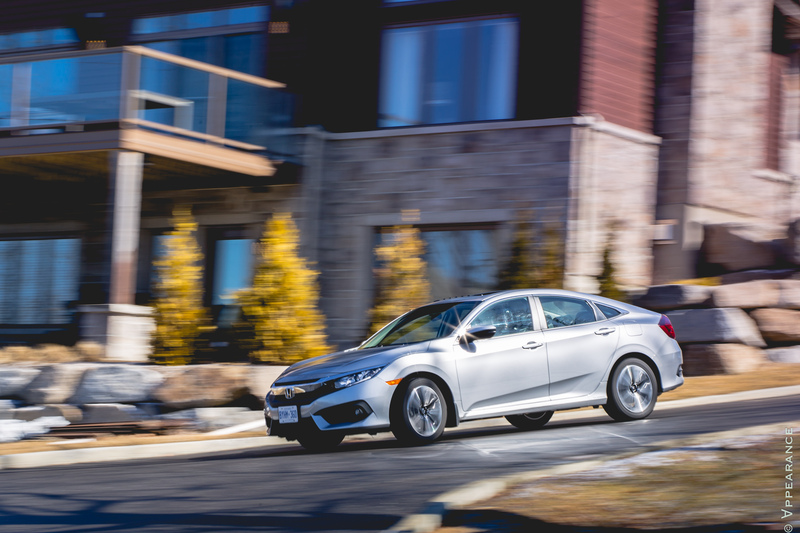 Base Civics come with a 2.0L i-VTEC four-cylinder (essentially a revised K20) good for a stout 158 hp and 138 lb-ft of torque which comes mated to either a 6-speed manual transmission or a continuously variable automatic. My tester was the EX-T model, which comes standard with the brand-new and honestly fantastic 1.5-liter turbo that cranks out 174 hp and 162 lb-ft of torque; the first turbocharged engine offered in a Honda branded vehicle in North America. It’s a peach of an engine, but it unfortunately only comes mated to the CVT transmission. Honda has however confirmed that a 6-speed manual will be available with the turbo mill down the road. Thank god. About that CVT: in all honesty, I have experienced much worse systems. In fact, when combined with the turbo engine’s thrust, Honda’s application is rather clever. They’ve gone away from the fake gear system, instead, it’s a CVT-traditional snowmobile-esque constant surge of acceleration. Punch the accelerator in S mode, and this Civic swiftly gets up and goes. The boost is felt quickly with very little lag, and the transmission holds the revs in the engine’s sweet spot to maximize the available mid-range torque. Never once was I thinking about what the transmission was doing. It simply gets the job done, going about its business without attracting too much attention to itself. Would I still recommend waiting for the manual? 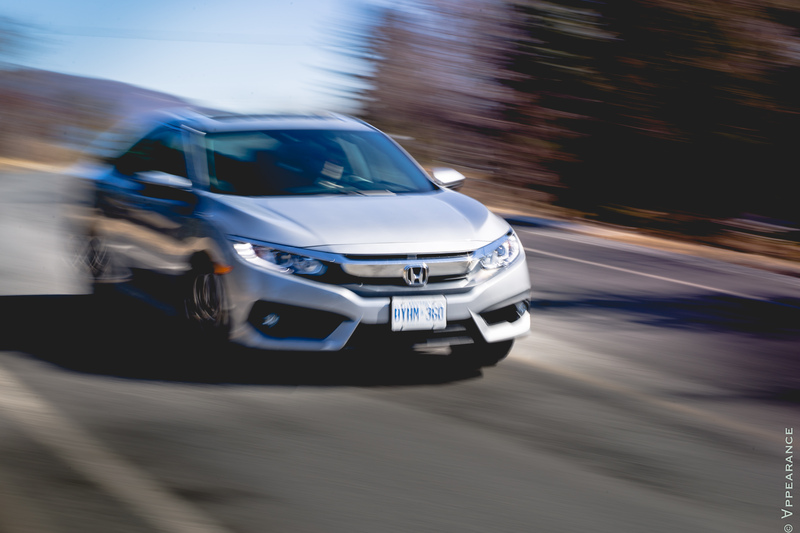 But get this: although Honda claims this CVT-equipped Civic will hit 100 km/h in a respectable 6.8 seconds, Hondata have proven that it’s faster than the last generation Si in the quarter mile. Not bad for your mom’s automatic Civic. 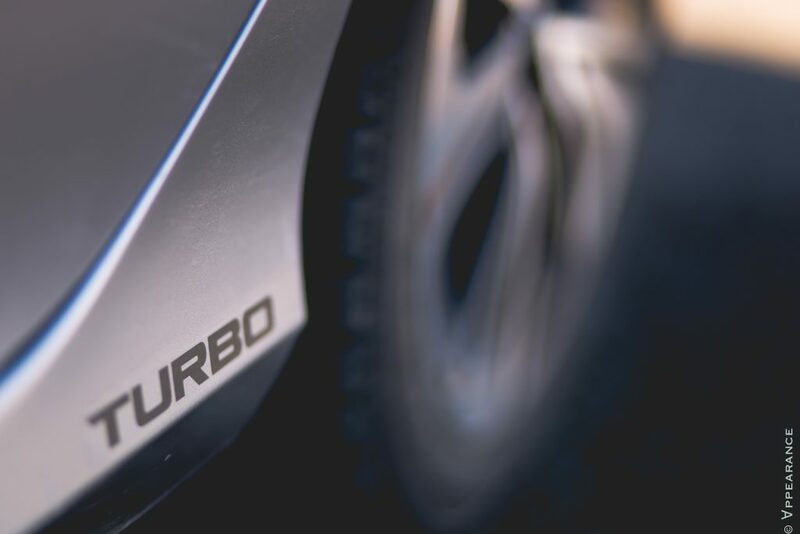 Most importantly, the turbo engine offers enough depth and flexibility for a variety of driving habits. It may not have the most appealing engine note out there (I’ve heard much better from past Hondas) but it’s refined, smooth, punchy, and extremely efficient. I averaged 7.5L/100 km during the week I had my Civic – even by allowing myself to drive like a hooligan – because turbo Civic. On the road, the feeling of refinement is carried over with a surprisingly quiet and compliant ride. This is a solid car thanks in part to thick anti-roll bars (1.0 inch up front and 0.7 inch out back) that help the multilink suspension setup keep everything balanced. Engineers have also fitted the Civic’s suspension with hydraulic bushings to counteract the traditional flimsy effect felt in past Civics over rough surfaces. The result is a car that remains firm while absorbing road imperfections with grace and retaining an excellent ride quality. Believe it or not, the Civic feels more like an Audi A3 than an economy compact car. And that’s no coincidence. Honda didn’t benchmark this car on other compacts. Instead, they aimed their ride and handling criteria at more upscale offerings such as the Audi A3 and Mercedes CLA. The new variable-ratio electric power steering is also a great improvement over the previous model, offering a balanced and weighted feel that stiffens up at high speeds, but remains, like all electric power steering systems, rather numb. In the bends, the Civic loves to be thrown around and thanks to a significantly widened track, it hunkers down in corners, exhibiting very little body roll. Yes, you do feel the weight, but it deals with it surprisingly well. By no means is this intended to be the Civic’s sporty variant, but its chassis carries over enough dynamic prowess to make it fun to drive and predictable at the limit. 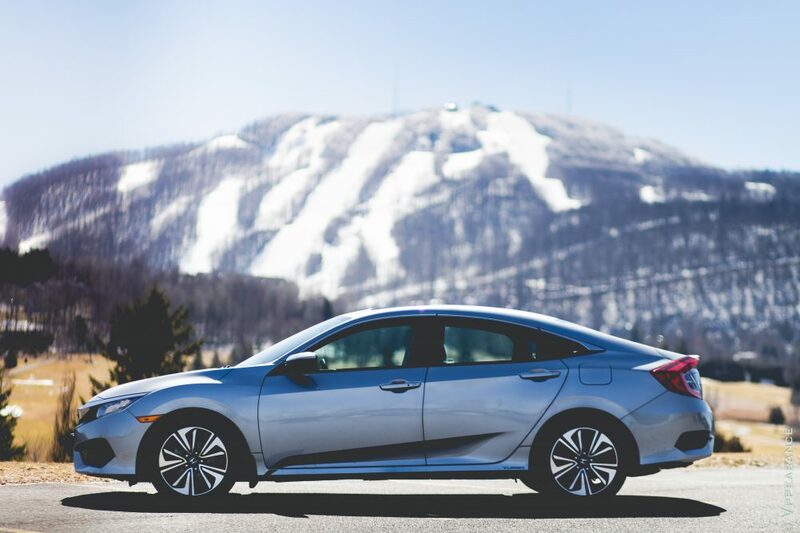 Above all, the 2016 Honda Civic is oozing with engineering greatness; precisely what made old Hondas stand out from the crowd. It has depth, a soul, and no longer feels like an appliance on wheels, but rather a well-crafted and intelligently built machine. The engineering prowess is carried over inside where you’re immediately greeted to a much more attractive and well put together interior than the model it replaces. Gone is the ridiculous two-tier display. 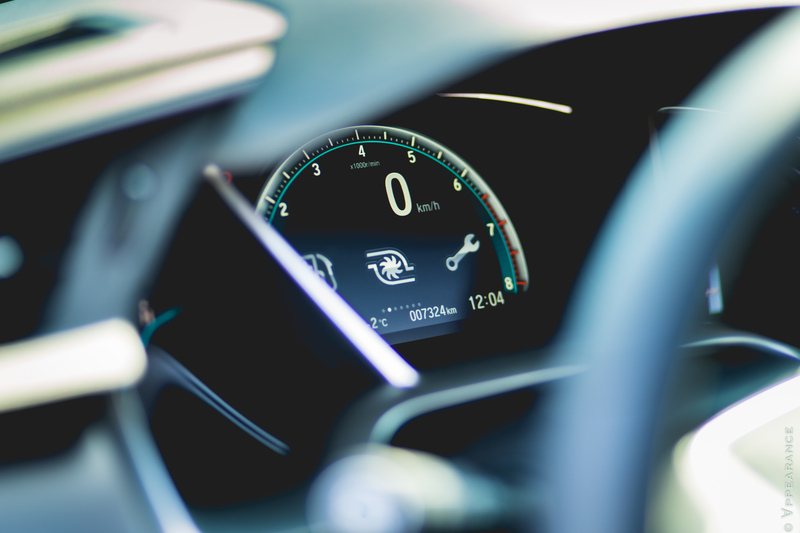 Instead, there’s a clear and simple LED-illuminated instrument cluster with functional and easy-to-read information. Forward visibility is also impeccable thanks to a low dashboard and thin A pillars. I love how you sit low in this thing, which is reminiscent of Honda products of the nineties. There’s a large storage bin in the center console that can pretty much engulf anything, and I’m particularly fond of the pass-through shelf located underneath the infotainment center stack to connect your devices. 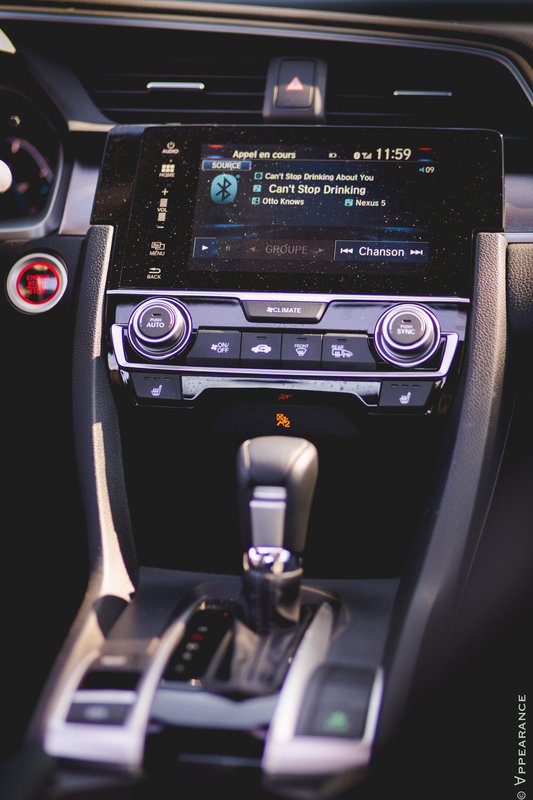 The available 7-inch touchscreen infotainment display is easy to operate, except for the absence of an actual volume knob: more often than not, I’d grab the climate control button to lower the volume. As for everything else, it’s a rather enjoyable cabin. 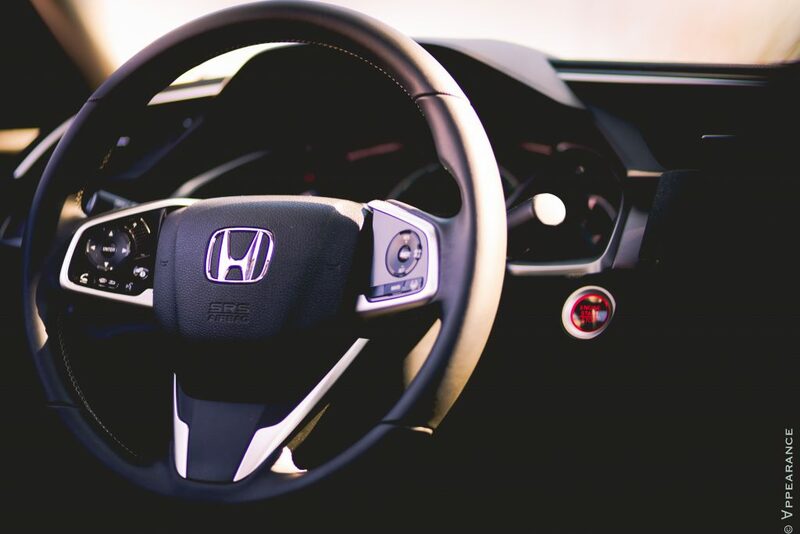 Ergonomics are traditional-Honda excellent, seats are comfortable and supportive and the overall quality of the materials is rather impressive, especially that slab of brushed aluminum that spans the dashboard and actually changes tints depending on the angle you look at it. The Civic’s interior is so good that it almost feels like an Acura. 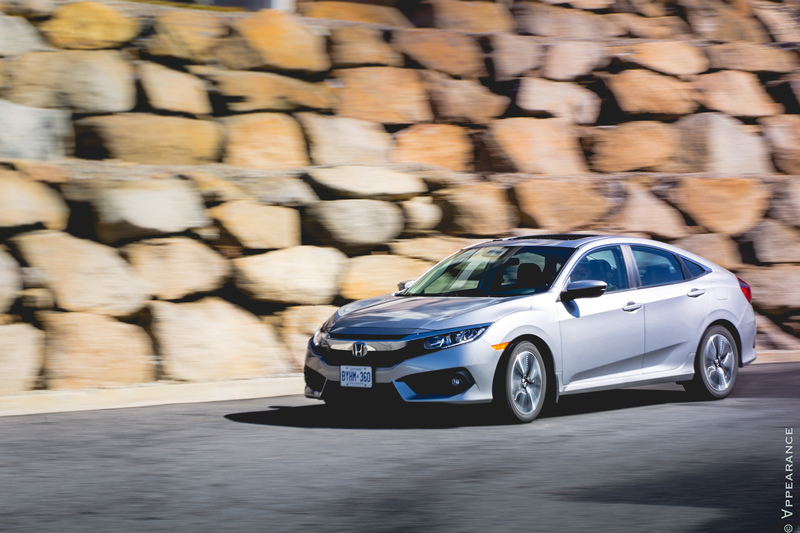 The 2016 Honda Civic sedan does indeed offer a long list of likable attributes. This is not just an excellent new Civic, this is an excellent car period; one that people will actually aspire to own. It’s fun to drive, looks the part, has a quiet, comfortable and impeccably well put together interior, and that turbo engine is a gem. 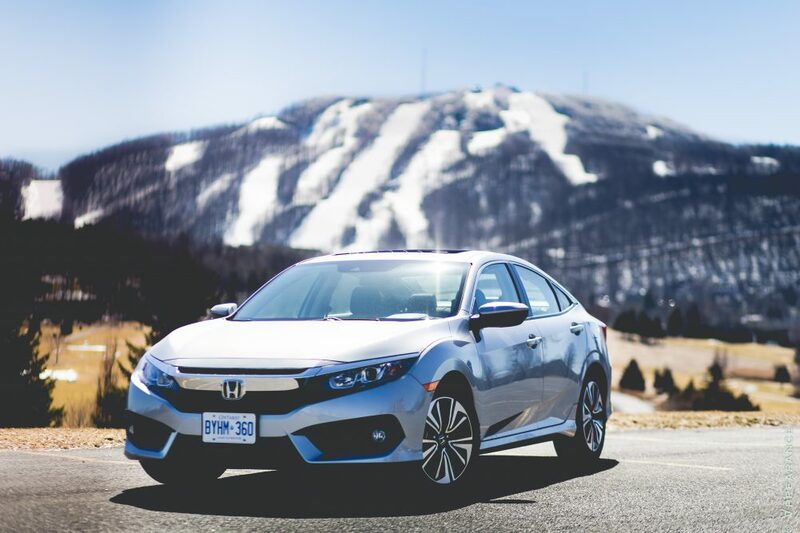 Prices for the 2016 Civic sedan range from $15 990 for a surprisingly well-equipped DX entry level model and top out at $26 990 for the technology packed Touring trim which comes standard with high-end luxury features such as leather seats, LED headlights, and wireless smart phone charging. The EX-T model, such as my tester, is the car Honda wants you to buy. It sells for $26 909 and comes standard with a crapload of features such as the turbo engine, heated seats, a power moonroof, automatic climate control, full automatic driver and passenger powered windows, a leather-wrapped steering wheel, foglights, and Honda Sensing which includes a variety of safety tech such as adaptive cruise control, lane departure warning, lane keep assist, road departure mitigation, forward collision warning, and the collision mitigation system. 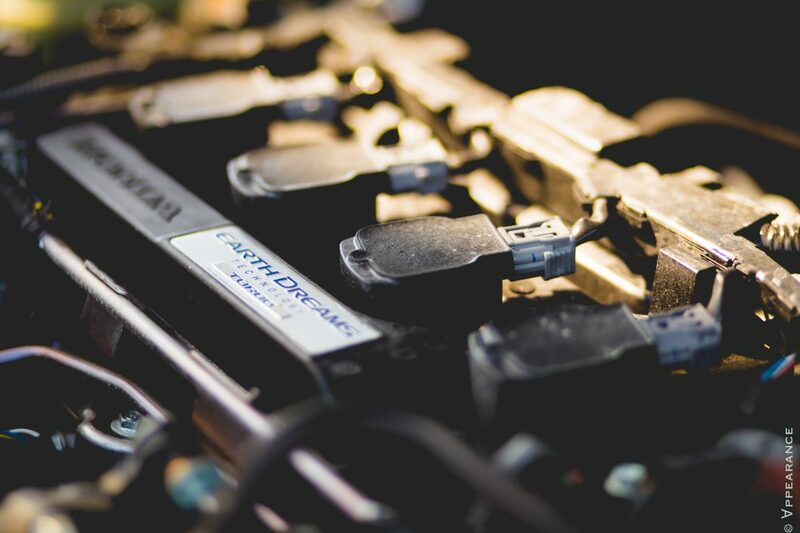 It’s also loaded with smart connectivity features such as Android Auto and Apple Carplay compatibility which both do a fantastic job of mimicking your smartphone’s interface on the car’s touchscreen display. Now that’s a lot of car for the money. To wrap it all up, it feels great to finally see Honda getting it right with the Civic. 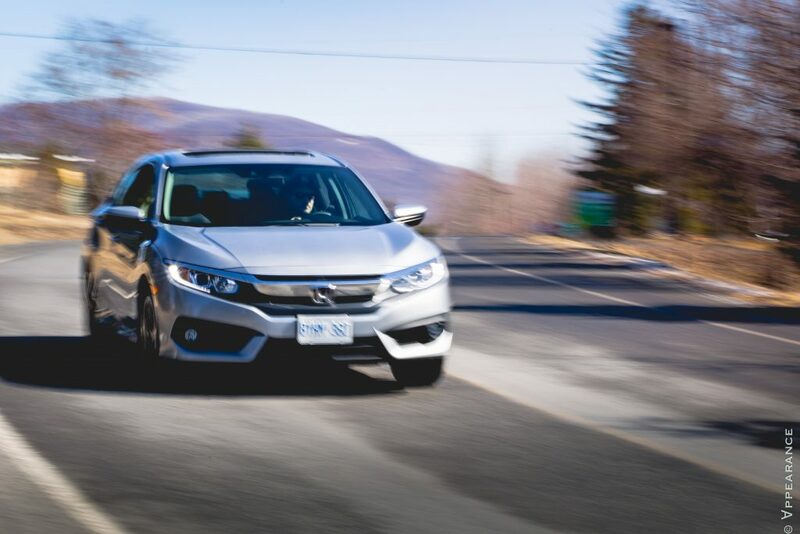 Simply put, this car no longer competes against other compacts; it redefines the entire segment, something we should always expect from a Honda. Now, consider the fact that coupe, hatchback, Si, and Type R variants are scheduled to arrive later this year with a more powerful 2.0L turbo engine and manual transmissions, and the Civic is off to a strong start to take back the segment it once dominated. – No volume knob for infotainment system. – Larger size impacts parking manoeuvres and urban driving.